Joan Deering, longtime Cushing resident, passed away Monday, April 8, 2019 in her home at the age of 90 years. The daughter of the late Louis Pippenger and Opal Powell Pippenger, Joan was born on January 6, 1929 in Chelsea, Oklahoma. She came to Cushing as a small child where she was raised and educated. She was united in marriage to Doyle Deering on October 21, 1946 in Winfield, Kansas and to this union four children were born, Phyllis, Bucky, Gary and Genevieve. Doyle preceded her in death on February 14, 1994. Joan had worked as secretary most of her life, spending over 20 years with Cushing Regional Hospital followed by several years with the Bank of Cushing and retiring as secretary of the First Assembly of God Church after 20 years of serves. 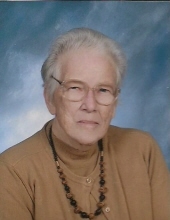 She was a longtime member of the First Assembly of God Church. She loved her church and enjoyed working in her garden; reading and spending time with her family and friends. She is survived by her children, Phyllis Ross of Cushing, Genevieve Boyle and her husband Loy of Ripley and Gary Deering and his wife Charlotte of Plattsburg, Missouri; two sisters, Inez Hutchins of Cushing and Jean Dauber of Cushing; five grandchildren, Krista Ross, Kara Larson, Greg Deering, Michelle Cannon and Jennifer Sterling; 10 great-grandchildren; several nieces, nephews and other relatives and friends. In addition to her parents and husband, she is preceded in death by one son Bucky Deering; one infant brother and one sister Peggy Tate. Funeral services will be held Saturday, April 13, 2019 at 10:00 a.m. in the First Assembly of God Church with Pastors Jason Pickering and Robert Adams officiating. Burial will follow in the Euchee Valley Memorial Park Cemetery. Memorial contributions may be made to the First Assembly of God building fund in her memory. To send flowers or a remembrance gift to the family of Joan Deering, please visit our Tribute Store. "Email Address" would like to share the life celebration of Joan Deering. Click on the "link" to go to share a favorite memory or leave a condolence message for the family.